. 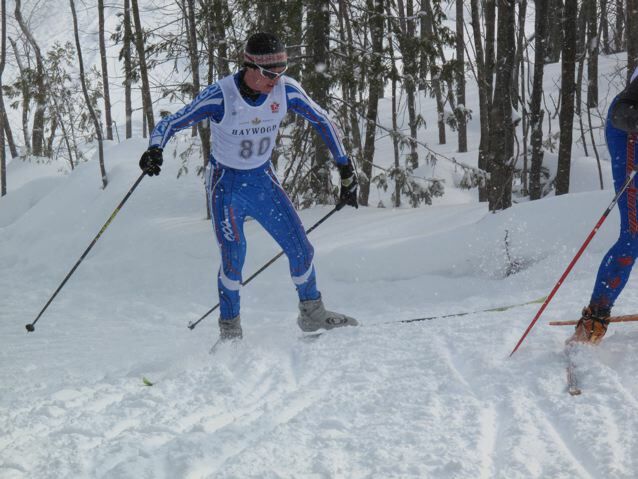 : 2009 Ontario Cup #1 Race Reports :: Ski XCOttawa.ca :: Skiing in Ottawa and Gatineau Park :. 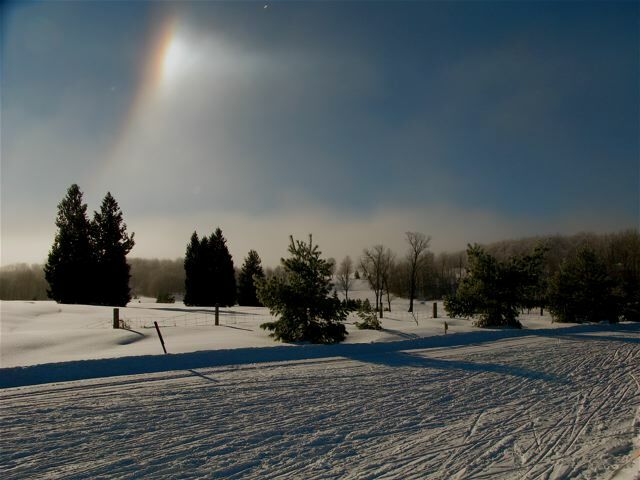 Highlands nordic has always been one of my favorite places to ski and race and this year it has only gotten better. The weekend featured two skate races; a 1300m sprint on Saturday and a distance mass start race on Sunday (20km for me). It seems that everyone out at Highlands has been working hard improving the trails and making them even better race courses. Last year's notable lack of "flow" to the distance race couse at world junior trials has been adjusted and made more fun, while maintaining a high level of difficulty. Some of the changes include a culvert under the race course for easy access to the stadium, as well as a new longer climb in the last third of the distance course (it is a seriously long climb!). This long climb combines three climbs up the escarpment, eliminating some of the slow gap sections that were prominent last year. As for the races they all went really well for me. I broke my race skis a couple of days before the races so I used some older ones that have never been super fast which was too bad, but it gave an opportunity to not care too much about skis, I already knew they would be slow! I qualified back a bit in the sprints but was happy with how it felt. The quarterfinal heat was pretty hectic, a friend of mine broke a pole right in front of me while I was already a little too far from the front and I got dropped by ten or so meters pretty quickly as Jake scrambled out of the way. Being eliminated in the first round is always a bit disappointing but sprints are like that. The distance race on Sunday was really fun, four laps of the new 5km course flew by for the most part and everyone I saw, who finished, looked like they had had a good time. I was happy with how I finished in the end, and every one on the team did really well. Aiden from Nakertok had the biggest smile with his second place finish on Sunday. Way to go Aiden! I think the excitement for nationals at Highlands is building... they are more ready than ever to have them. p.s. 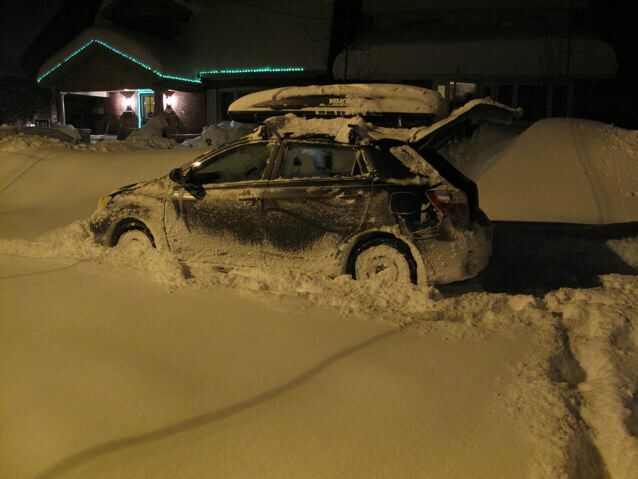 Hopefully eveyone got home safe as well as the weather got pretty crazy after the races. Saturday, the skate sprint day, started off badly as usual as I qualified very slow (12th). Then, following my regular routine, I decided to actually ski fast and won my quarterfinal heat which ensured me a spot in the semifinal. The semi didn't go so well. All 6 girls stayed in a close pack then entire 1.3km and I got boxed in on every corner. I just never seemed to be in the right place when I needed to be. So I ended up 4th, just out of a spot in the A final. The B final was exciting. I passed a girl in the final stretch to get 2nd! Sunday's race, a 10km skate on a very hilly course, was particularly challenging with majorly heavy legs from all that sprinting the day before. The race started off well, I was skiing with the front pack, just as I had planned. On the first big downhill, with the hairpin turn coming down from Larry's Glacier, our group of girls was (stupidly) trying to jockey for positions while in the icy turn. This led to the leader crashing, and me into her with her skis in my stomach, and another girl into me. Pretty messy but we all came out alive. 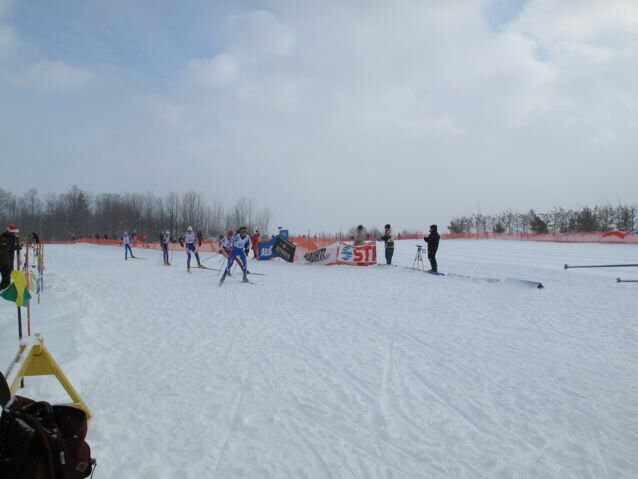 After that, I skied the rest of the race with a group of girls and went back and forth in 4th, 5th or 6th place. 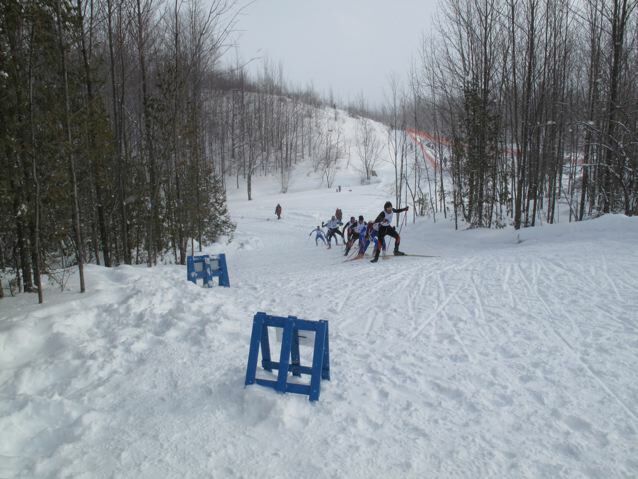 But in the end, I beat the two girls I'd been skiing with and got 4th (2nd in Ontario). Overall, a pretty successful weekend, although I need a rest after 3 hard race weekends in a row. But after that, Canmore, here I come!